Triceratops had one of the largest skulls of any land animal. An adult’s skull could reach up to 6 feet (2 m) long. Its head was nearly one-third as long as its body. 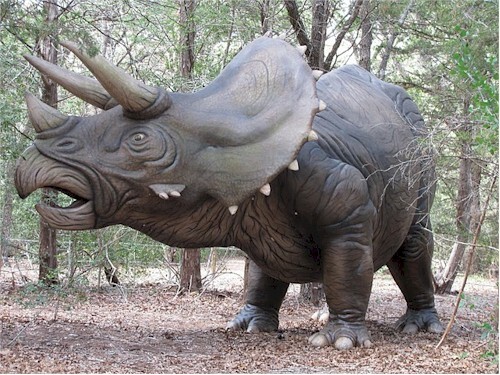 The large bony plate projecting from the back of the Triceratops skull is known as a frill. It was among the last of the dinosaur species to evolve before the Cretaceous-Tertiary extinction 65 million years ago.